Journalism school is probably the best time to talk about ethics and write about morals and the efficacy of ideal journalism. Almost every media student has probably scribbled in their answers sheets that the practice of journalism is no longer devoted to ‘public interest’, rather it has shifted it paradigm to ‘commercial interest’. And graduation school probably remains the only place where you can talk about reporting things in a much codified way and with an idealistic approach. As a final year a journalism undergraduate student, I have observed one thing; there are two types of students who take up journalism studies. The first category of students believes journalism to be a very noble profession and believes in true patronage of sensible news. The second category, to put very bluntly believes media to be a fame making industry that is fuelled by popularity (read: circulation/readership/view ship). The difference between both types again being the attitude towards ‘public interest’ and ‘commercial interest’. In three years of our graduation, one question related to one topic has been common in almost every examination. Ethics apparently happens to be one topic which you must learn by heart as questions keep coming time and again in your examination. Hence, theoretically proving it to be one of the most crucial parts of journalistic studies; but what happens to ethics once you step into the field need not be explained. On June 3rd 2012, I appeared for my Delhi University Common Journalism Entrance Test (CJET), with an ambition of being a true and idealistic journalist. It was since class 6th that I patronized the media, and by class 9th made up my mind to be a journalist; only to be denied by parents. But eventually I ended up being in a course which I always wanted to peruse. On 25th June 2012, results were announced and I finally made my way into an Undergrad Journalism School. But something happened just 24 hours prior to the announcement of the results, something which will always remain a great inspiration for me as I prepare myself to join an industry of which I have always been a great patron. American screenplay writer and producer, Aaron Sorkin premiered his American political drama The Newsroom on 24th June 2012. This masterpiece by magician Sorkin has now overtaken all my sources of inspiration in the field of media. People often ask you about your favourite journalist and you come up with names who you think to be an inspiration. For me, it took me years to figure out who my favourite was. In fact when questioned the same in my CJET interview, my answer was that I favoured Arnab Goswami over others but I didn't have favourite journalist. But today I do have one and it’s the protagonist of Sorkin’s masterpiece, The Newsroom, Will McAvoy. Yes a fictional character. 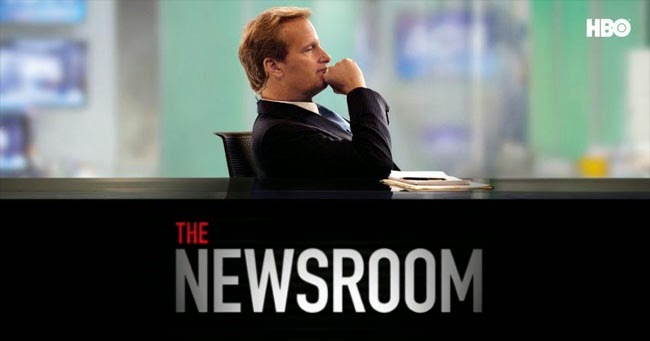 Why I feel so attached to the series The Newsroom and all its characters is because I share with them the same view on media which they portray. Someone would say that constructed my views inspired by the show. But believe it or not, I applied for my college keeping in the same views on media just as shown in the series. I call Sorkin the magician because it seems that he stole what I had in mind and made it feel like reality by airing it exactly at the time when I got into college. Critiques would say that the series if too idealistic and work of fiction make things distant from reality. But what we should always have in our mind is that our ideals are always different from ‘what’ we eventually practice. For me, how and what should be news is exactly what is been depicted in the series. As such, I guess, I am finding it a little impossible to get over the fact that the series finale of the series would be aired next Sunday. And what makes it even more interesting that I am making my way to my final semester of the undergraduate school. The series, started when I joined college and now its ending as I prepare to pass out of the college. The Newsroom has been one of the best learning tools for me as a journalism student. It has motivated me 'n' number of times when I attempted my questions and inspired me as to how should I practice the profession. My obsession with the series might overlook a lot of short comings. But you have favourite because you are willing to overlook its shortcomings. 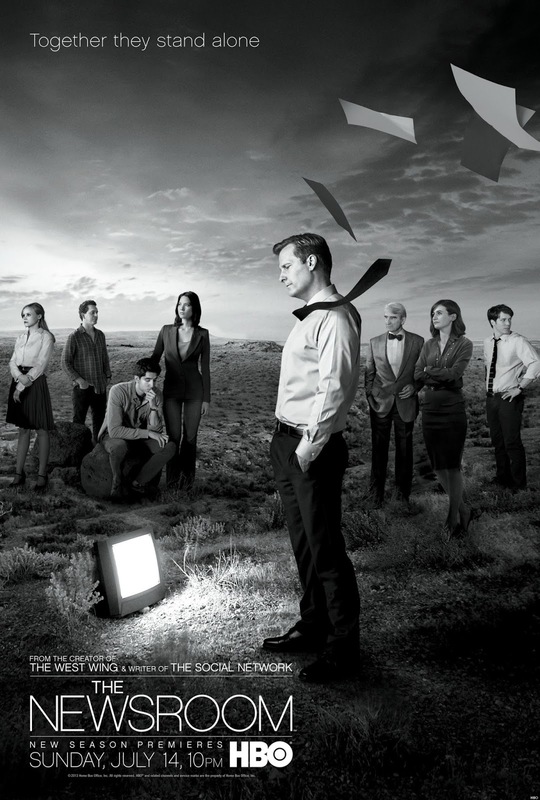 Two three years of The Newsroom and its brilliance! Cheers!